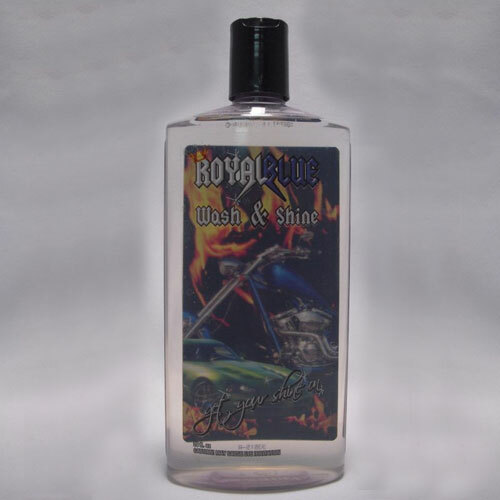 Royal Blue Carnauba wash foams away dirt, grime, and grease without compromising wax protection leaving your vehicle as shiny and smooth as the last time you waxed it. Conditioners in our patented formula moisturize paint, revealing brighter color and clarity, extending the life of your finish. PH Balanced and Non-Detergent based Royal Blue Wash & Wax reduces water spots and protects against the sun’s damaging UV rays. 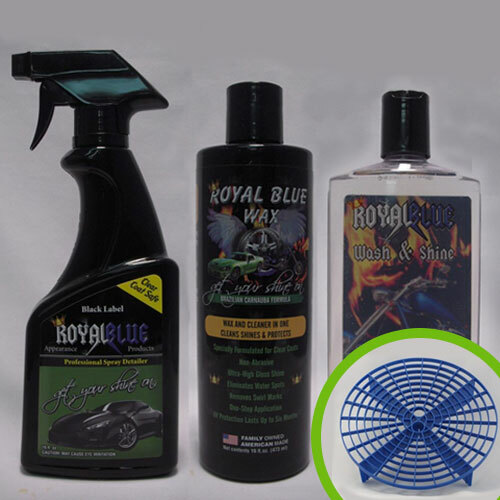 Infused with Royal Blue Carnauba Wax, our wash provides another layer of protection every time you wash, creating a strong barrier to keep out harsh elements and making cleanup from bugs and birds much easier. Washed my ‘new to me car’ that is 3 years old, had some sudsy wash left in the bucket so washed my brother’s ’96 car that hadn’t had a bath in a couple years. Made the car look almost like it had a wax job on it. He was amazed, and a bit embarrassed he let his car go unwashed for so long. Afterwards I applied the Spray Detailer to a very faded dash and interior on his car and again, it looked almost like new again. Great job RB!Also used the car wax on our very old, very dirty alum. awnings and it took the old grim off and left them looking so much better. Won’t have to rent a power washer now. Thanks! This is hands down the absolute best wax I have ever used on my vehicle. 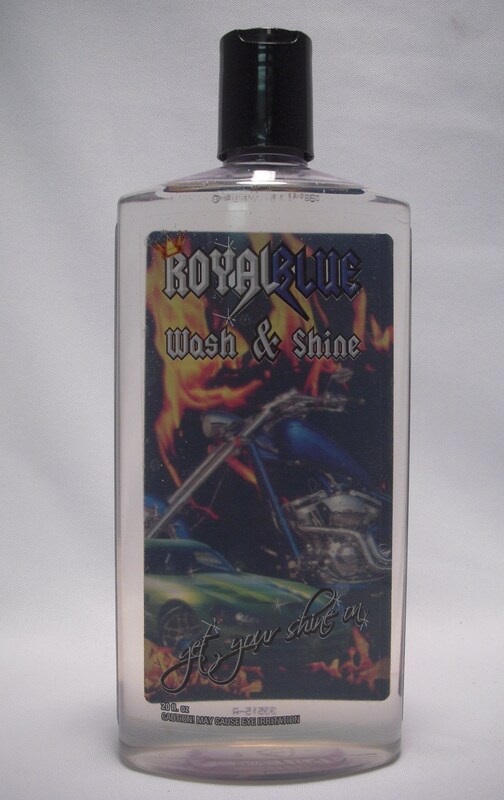 I keep my motorcycle clean and waxed with this all year. I just recently used clay on my jeep to give it a smooth shine. I was going to also use the clay on my motorcycle but when I felt the surface it was as smooth as glass. This wax not only cleans and shines it also protects against dirt and grime leaving the surface with a deep high gloss shine. This is by far the best wash/ wax I’ve used!! I’ve been using turtle spray wax for years, I came across this at the state fair in 2017, brought it home and was amazed with it. Washed my motorcycle and after a week worth of riding, roughly 500 miles, it looked like it hasn’t touched the road it keeps the road grime off the bike. After you use the wash/wax, wipe dry with a microfiber cloth. 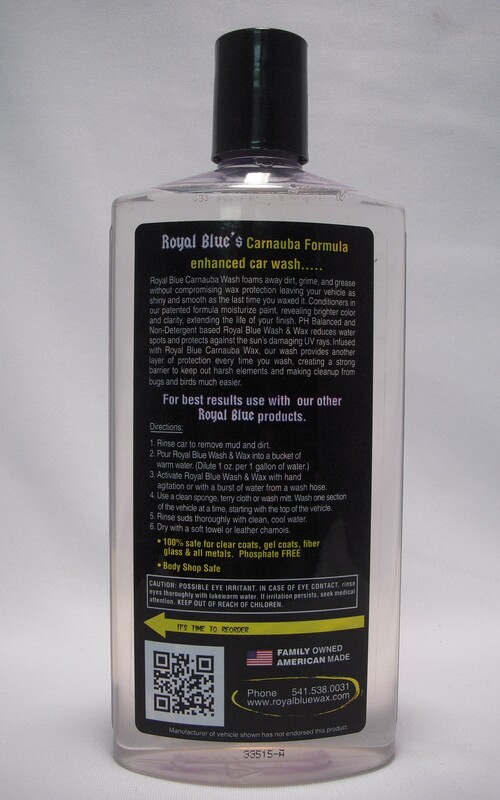 Use the spray wax when needed in dry spots and your vehicle will shine like new. I’m buying cases of this very soon. This product is all I’m using from here on out! Never used a Wash that left a glossy coat behind, great stuff. My husband loves this Wash, has me order it every year. Love these microfiber cloths, great quality! THis wash is really good. Used it on my Peterbilt & no streask or smears. Also brought out the shine.